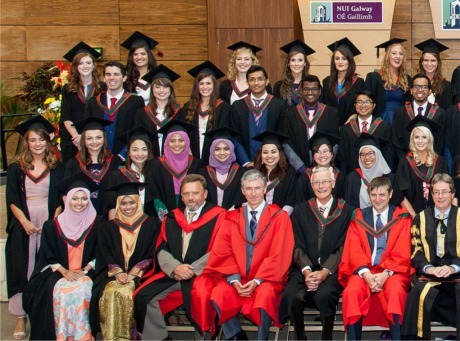 LETTERKENNY Medical Academy enjoyed a proud day recently when they graduated as doctors. 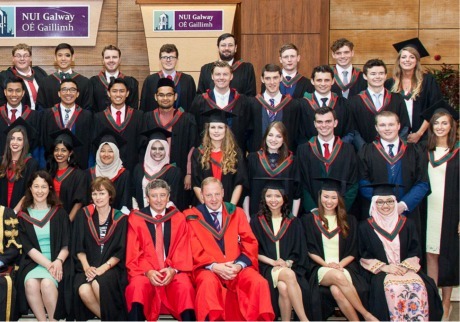 The graduates were conferred with honours degrees including Bachelor of Medicine, Bachelor of Surgery and Bachelor of Obstetrics (MB,BCh,BAO) from NUI Galway. They spent one year of their clinical training in Letterkenny and some will be returning to work as doctors in Letterkenny University Hospital in the near future. The group are pictured here at NUI Galway’s recent Summer Graduations with Professor Seán Dinneen, head of NUI Galway’s School of Medicine; Dr Liam Bannon, dean of Letterkenny Medical Academy; Professor Tim O'Brien, dean of the College of Medicine, Nursing and Health Sciences at NUI Galway and NUI Galway president Dr Jim Browne.